Just because you may not fit some of the criteria, that doesn’t mean you won’t qualify for a car loan. Some exceptions can be made and there are lenders that accept government income sources. APPLY NOW! As long as you have been working the same job for 1 month and earn $1,800 per month. Bring your valid driver’s license, a void cheque, and most recent pay stub. Must be 18 year old. Substantial down payment and co-signer may be required. START YOUR APPLICATION! There are two major credit bureaus in Canada where you can view your personal credit report: Trans Union and Equifax. You may have to purchase your credit report, but it will be well worth it as each company can provide you with some valuable tips on rebuilding your credit. WE’LL CHECK FOR YOU! You can choose model years that are six years old and newer, however before you select an older vehicle let our Financing Managers explain a financing program that may allow you to get into a 1 year old or current model year vehicle for the same or nearly the same as older ones. This is not a gimmick it is actually a logical reality once we explain it to you. 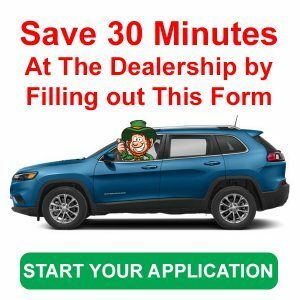 FIND YOUR NEXT VEHICLE! Absolutely, and we’ll make sure you’ll get top dollar for your trade. However, every trade-in situation is different based on make, model, and year so it’s best to stop by and speak with us directly. WHAT’S MY TRADE WORTH? Once you submit your application it is encrypted for transmission and then stored with industry-leading security on our servers. Chrome, Firefox, Microsoft Internet Explorer and other web browsers are compatible with this form of encryption. All the application pages will display the “secure icon” in your browser indicating that the information you enter on these pages will be transmitted securely. New cars can depreciate as much as 50-70% in the in the first 2-3 years. As a result, insurance payouts can be much lower than the vehicle purchase price-even for those with full coverage. GAP (Guaranteed Auto Protection) insurance is additional protection to cover this “gap” between what one owes on a financed vehicle and its actual cash value, which is usually lower. As an example, let’s say you borrow $26,000 for a new car and its totaled one month later. In the eyes of the insurance company, that vehicle has likely depreciated up to 30% (or about $7800) immediately after you drove it off the lot. Without GAP insurance, you could pay the full difference between what you owe to your lender and what your insurance company pays out to you! You can see why it’s important. Please note that GAP insurance is cancelled after refinancing a vehicle. Those who plan to refinance for greater savings, and are currently covered, will need to reapply to maintain it.